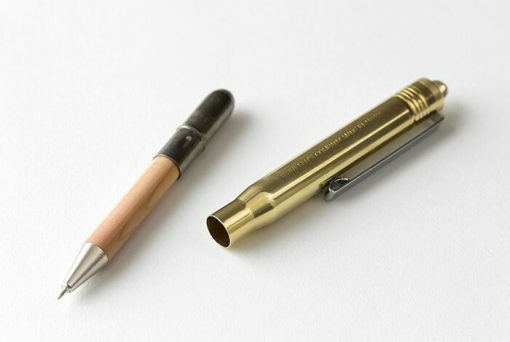 This BRASS Ballpoint has two parts, one barrel made of brass – and the actual pen. At the top of the pen there is a loop for strings. 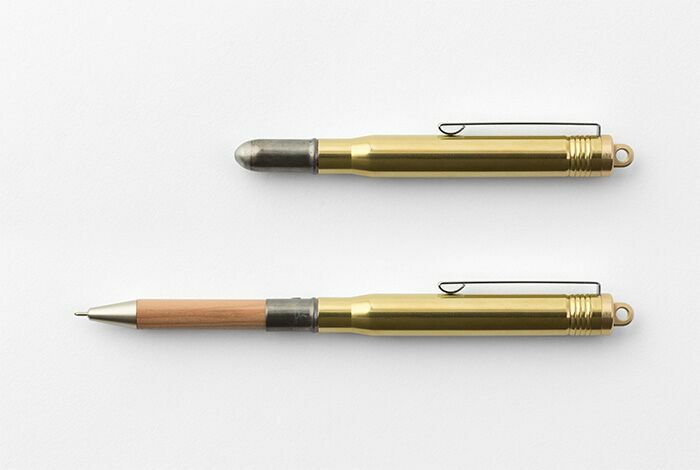 The pen tip and ink are made by Japanese Ohto, and their signature needlepoint writes extremely smooth and has a fine nib. 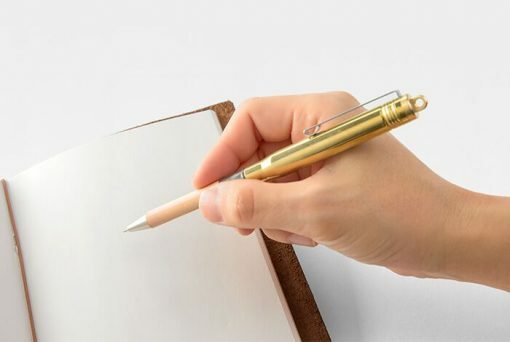 At first, the brass has a golden colour, but over time and usage, the surface will oxidize and the pen will age with beauty as the colour becomes darker. 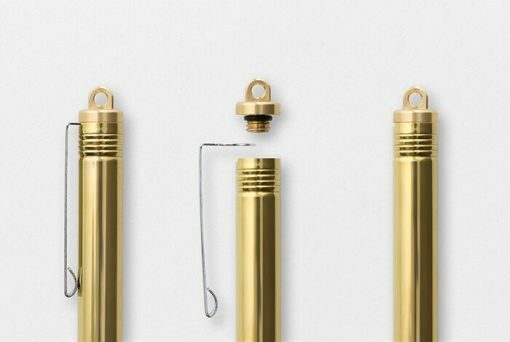 You can always polish your brass items with metal polish, but we suggest you leave it, the more scratches, fingerprints and patina, the prettier it gets.